They did it! 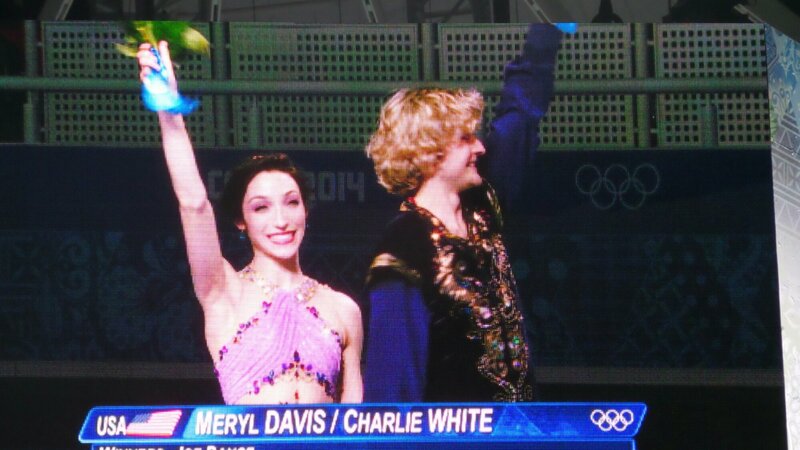 Meryl Davis and Charlie White captured the gold medal tonight with a spectacular performance!! 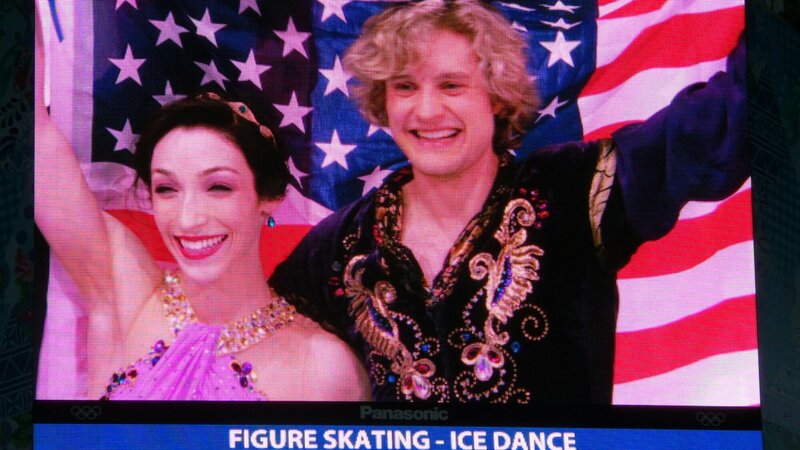 And they made Olympic history- they are the first U.S. team to ever win a gold medal in ice dancing (Tanith Belbin and Ben Agosto won a silver medal in 2006 in Torino). 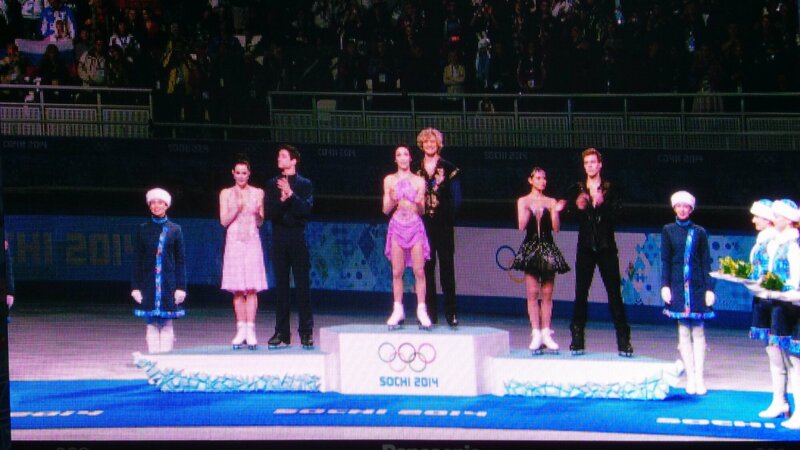 I am so honored that I was able to be there to experience this piece of figure skating history! 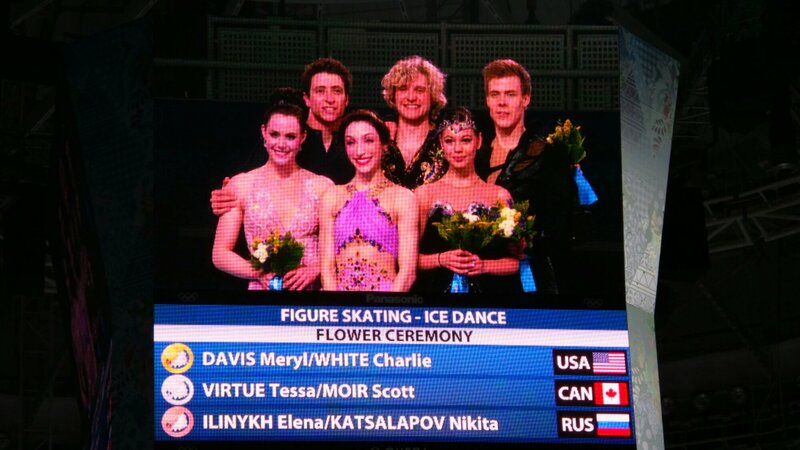 And our other dance teams skated great as well! 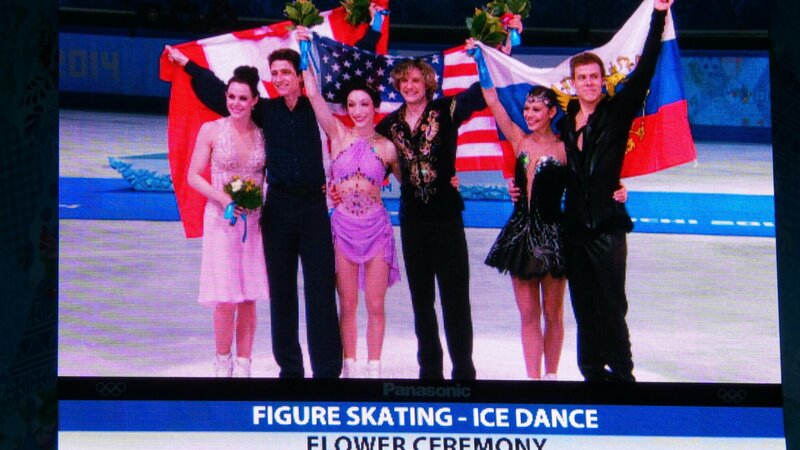 Madison Chock and Evan Bates ended up 8th and the Shibutani’s were 9th. 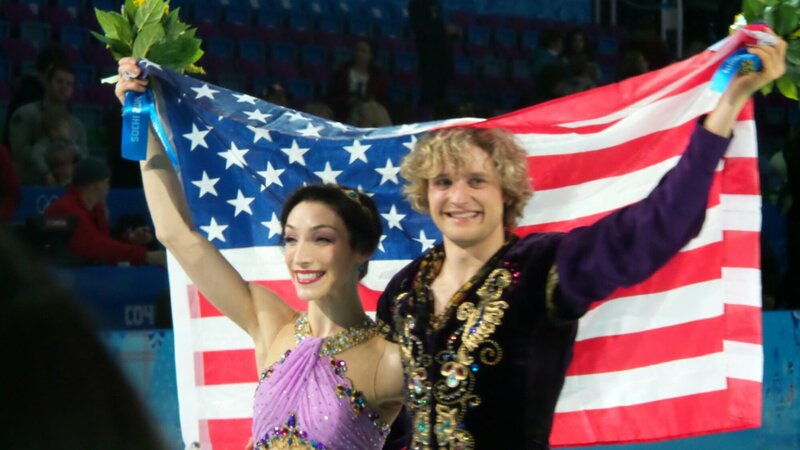 It’s only the second time that the U.S. has had all three ice dance teams in the top 10 at the Olympics! It was a great evening. Good night everyone!